Not all the action of the International Cup happens on the field. This Saturday at 1.30pm the tournament will be launched at Federation Square in Melbourne. Where previous launches have been somewhat “locked away” from the public and/or the squads, the 2014 version will be out in the open for all to see and attend. All the teams will be present (the travel gods willing) for the official start of the football carnival that will see 15 days of footy and will include 18 countries, 62 matches, 18 men’s and seven women’s teams and 18 venues. One thousand players and support staff will be officially welcomed by Senior Wurundjeri elder Aunty Joy Murphy-Wandin. 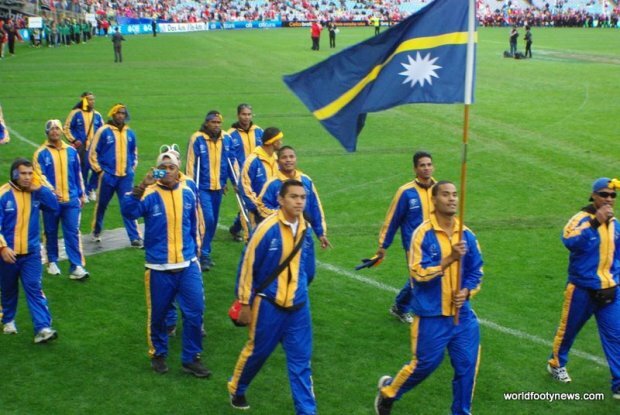 Following the welcome each nation’s flag and team captains will be presented on stage at Federation Square. Dignitaries and footy celebrities will be involved in the welcoming of the teams to Australia and the locals will see a great display of colour and entertainment – a taste of what is to come in the tournament. Teams will then follow their flag through Birrarung Marr on a march to the MCG which should once again be a great visual for Melbournians. A Parade of Nations around the MCG will be completed prior to the Hawthorn v Melbourne match giving all participants a chance to walk on the famous turf, just an entrée for those who will return to play in the men’s final on August 23rd. Brett Kirk launches IC11 at Luna Park, Sydney.